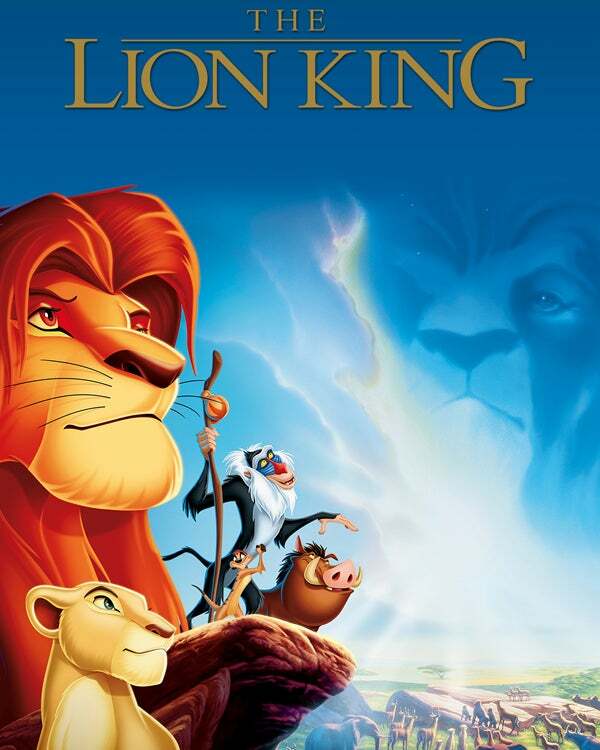 Disney’s The Lion King was not just the Golden Globe winner for Best Musical or Comedy that year; it was the apotheosis of the Jeffrey Katzenberg reign at Disney. Soon after, in a dispute with Michael Eisner, he left the studio and, with Steven Spielberg and David Geffen, formed DreamWorks, which soon would hit the jackpot with their Shrek movies. But The Lion King remains his finest achievement, and 20 years after its release, as a stage musical it still captivates audiences, where it’s become the highest grossing Broadway show of all time. To write the score, Katzenberg enlisted Elton John to replace Alan Menken, who at the time was working on the upcoming Pocahontas. Together with lyricist Tim Rice, they wrote one of the best animated song scores of all time. In fact both “The Circle of Life” and “Can You Feel the Love Tonight” were nominated for the Golden Globe Best Song, with the latter winning. A month later the Academy followed suit. The voice talent included Matthew Broderick, James Earl Jones, Jeremy Irons, Jonathan Taylor Thomas, Moira Kelly, Nathan Lane, Ernie Sabella, Rowan Atkinson, Robert Guillaume, Madge Sinclair, Whoopi Goldberg, Cheech Marin, and Jim Cummings, none of whom were used above the title to promote the film, as has become the norm since. The story took place in a kingdom of lions in Africa and borrowed its conflicts from both Hamlet and the Old Testament (Moses and Joseph.) It was the first Disney animated feature based on an original story, rather than an already published work. By the end of the year it became the highest-grossing release of 1994, and at the time it was the second highest-grossing film of all time, just short of a billion dollars. A CGI live-action remake is scheduled for release in 2019, coming from Jon Favreau and the team that made last year’s Jungle Book. Competing with The Lion King in the Best Musical or Comedy category were The Adventures of Priscilla: Queen of the Desert, Ed Wood, Four Weddings and a Funeral, and Ready to Wear (Prêt-a-Porter). Both of Arnold Schwarzenegger’s costars were nominated for Best Actress in a Musical or Comedy and one of them Jamie Lee Curtis for True Lies won. Her competition was Geena Davis in Speechless, Andie MacDowell in Four Weddings and a Funeral, Shirley MacLaine in Guarding Tess, and Emma Thompson in Junior. Best Actor in a Comedy or Musical was Hugh Grant for Four Weddings and a Funeral. His competition: Jim Carrey for The Mask, Johnny Depp for Ed Wood, Terence Stamp for The Adventures of Priscilla: Queen of the Desert, and the irrepressible Arnold in Junior. No question about it 1994 was a great year for comedies. Both supporting Golden Globes were won by actors in the comedy category, Martin Landau in Ed Wood and Diane Wiest in Bullets over Broadway, a triumph they both repeated at the Oscar ceremony.